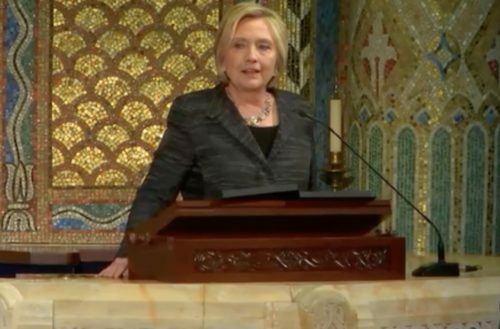 Hillary Clinton made a surprise appearance on Friday at the funeral of Edie Windsor, the civil rights activist who died earlier this week at the age of 88. The day Edie won, much of America cheered with her … with a recognition that a wrong had been righted. Through it all, her strength never wavered. … It is fitting that she will be immortalized in history books in that landmark decision synonymous with equal rights and dignity under the law. But she didn’t stop there. She continued to support the needs and the rights of the LGBT community. She helped change hearts and minds, including mine. And we are forever grateful to her for that. How she experienced loss, grief, and injustice made her only more generous, more open-hearted, and more fearless in her fight. 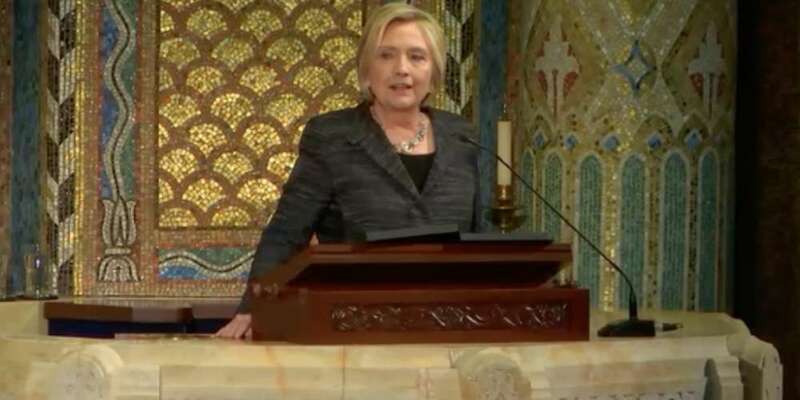 She refused to give up on the promise of America. There wasn’t a cynical, defeatist bone in her body. That’s especially important for us to remember now. Through her determination and sheer force of will, she brought us another step closer to that more perfect union. Now, in this moment when so much hard-fought progress is hanging in the balance, it is up to all of us to pick up where she left off.